Using an electric mixer, beat shortening and butter on high-speed for 30 seconds. Add both sugars and baking soda and continue mixing until combined, scraping the sides of the bowl when necessary. Continue mixing and slowly add flour. When flour is completely mixed, add chocolate and peanut-butter chips. 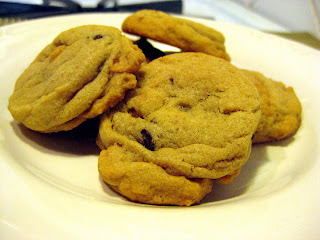 Using a 1-inch cookie scoop, drop mix onto a nonstick cookie sheet and bake for 8-10 minutes (until edges are browned.